Wedged between the newfronts and the upfronts, it’s easy to forget about the Cable Show, (newly rechristened INTX — Internet and Television Expo.) But some of what went down in Chicago last week bears analyzing as it’s indicative of greater trends in the industry. 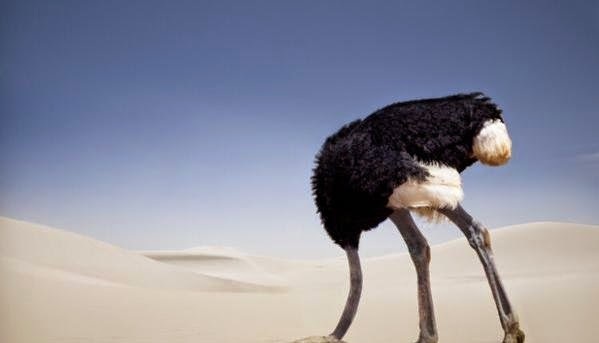 The biggest trend we’re seeing is something we’ll call “ostriching” — MVPDs and networks burying their heads in the sand and pretending that massive changes aren’t happening all around them. Evidence? Comcast’s announcement that they were adding voice activation to their remote control was greeted as if they’d announced remotes with mind control. Voice activation is a nice feature, to be sure, but it’s already available on Amazon’s Fire TV and on Roku. And while it may rate a big shrug, what’s even more telling is that none of the other MVPDs are even close to Comcast when it comes to revamping their circa 1997 set top box interfaces. That may well be because they’re planning on outsourcing them to the likes of Roku and Apple— Comcast is the only MVPD that’s still embracing the set top box. But it’s still another year of slapping the consumer in the face with the dual whammy of overpriced packages and underwhelming service. The MVPDs were far more concerned with throwing FCC Chairman Tom Wheeler some shade for his stand on Net Neutrality. Acting more like Regina George and her clique from Mean Girls than a bunch of C-level executives, the MVPDs made sure to call out Wheeler for his stance on the net neutrality issue every chance they could. Let’s examine that one a little deeper too: if all net neutrality is about is making sure that large companies can’t pay to ensure upstart competitors have slower connections, why would the MVPDs be so adamantly against that? It’s like being against puppies. The short answer is that net neutrality in the MVPDs eyes is about letting big media companies pay for dedicated fast lanes which does not translate to everyone else being in the slow lane. It just means that if there ever is a slow lane, the guys who paid won’t be in it, not that the MVPDs are expecting any sort of slow lane, mind you. So that’s issue one. Issue two is a bit deeper: the MVPDs fear that all this posturing about net neutrality is step one on the road to a situation that ends in them losing their monopoly over broadband in the US. That is, of course, the underlying issue around net neutrality, why it is that one company can effectively control access to the internet. And the solution to that issue of course, is to create a situation where that’s no longer the case, where no one has a monopoly on access to broadband. That may happen through government intervention or through the development of an alternate access mode (super LTE.) But for now the MVPDs are guarding their position fiercely as they realize that “we want to hold on to our monopoly” is not going to be a very popular position. Ever. As for the networks, they were more or less silent during INTX, keeping announcements to a minimum and letting the MVPDs hog all the glory. It may just be that they’re saving everything for the upfronts this week and we can’t say we blame them: if you’re a network, the upfronts matter a lot more than the Cable Show. Which is why we’ll be covering the upfronts, providing you with BRaVe insights throughout the week.